Preneurl. is professionalising the retail. “We feel retail.” - Preneurl. 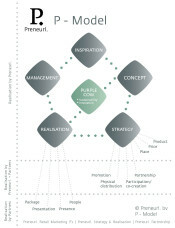 “We think retail is all about engagement of people.” - Preneurl. How does the consumer experiences sustainable (brand) concepts? 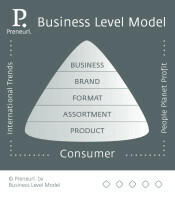 The Business Model Level gives insight into the areas of tension and the interdependence of certain factors and levels within an organization or segment. The P-model shows the width of the playing field. Preneurl. works in areas with specialists. Preneurl. regularly hosts inspiring presentations, innovation and brainstorm sessions and workshops in the fields of retail, sustainability and innovation.